Back in the day, data center management used to be pretty straightforward. But because of updated technology and other trends, managing these centers has become more complicated. So, how can someone make managing a data center 10 times easier? Here are some helpful tips. Data centers are often scrutinized for their energy consumption and the high expenses that come with it. The truth is that it takes a lot of energy to maintain those servers and the racks that house them. In fact, the power density of a data center is 100 times more than that of a large commercial office building and is equivalent to 9 small sized shopping malls of Wal-Mart size. To manage these centers a bit easier, consider cutting back on your energy usage. Changing out your lighting for more eco-friendly options and making sure your HVAC is properly maintained can both help reduce energy consumption. As data centers grow, so does their machinery capacity. Radios, computers, and hard drives for data center purposes tend to be overwhelming, especially when you have so many tools. But with the help of thermal containment systems, data racks, and electronic tracks, your machinery can be stored out of the way with no hassle. You’ll still have access to everything you need, it just won’t feel as cluttered or over-capacity. Since there is so much machinery working at once in a data center, cooling, heating, and power systems need to be operating at high energy efficiency. To keep the center’s performance on track, thermal containment systems and cold aisle containment must be monitored and maintained at all times. A Power Usage Effectiveness metric and Data Center Infrastructure Efficiency metric can be used to determine how well your thermal containment systems and cold aisle containment systems are performing. These days, managing a data center can be a lot of work. 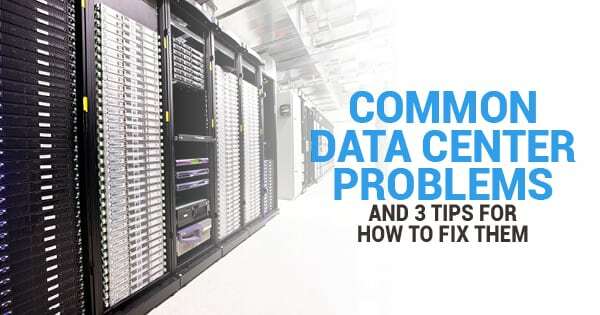 But with the help of performance management metrics, energy reduction tricks, and organization, you can handle your day-to-day data center tasks with ease.